The TARDIS is diverted to England in 1572, and the Sixth Doctor and Peri meet John Dee - 'mathematician, astrologer, alchemist, magician, and the greatest mind of our time'. ('Only of your time? ', the Doctor asks, unimpressed.) But what brought them here? When the Doctor discovers that Dee and his assistant have come across a 'great disturbance in the cosmos, in the constellation of Cassiopeia,' he realizes that they are all in terrible danger. Jake Arnott was born in 1961 in Buckinghamshire, England. 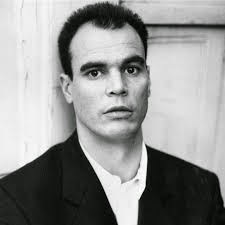 He is best known for his trilogy of crime novels, which recreate the post-war heyday of the London gangland scene and its attendant ‘showbiz’ associations, brilliantly evoked and by turns glamorous or seedy. 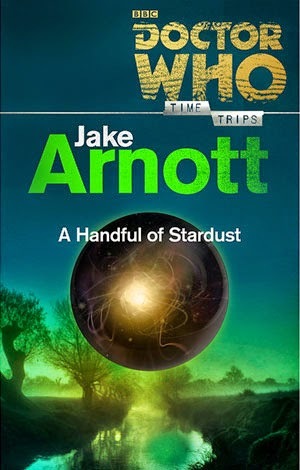 A Handful of Stardust is a short story in the Time Trips series from BBC books. I have taken a keen interest in these Doctor Who stories as of late. I will be doing a review on a different short story every Wednesday until the month of the premier of the new season of Doctor Who. A Handful of Stardust was the first in this string of reviews and the first Doctor Who short story I have ever read. Going into it I didn’t quite know what to expect but I found that the short story format lends itself more readily to the Doctor Who Universe because it follows the same rhythm as the episodes. Every page is action and no filler, just like a short story should be. A Handful of Stardust follows the story of the 6th Doctor and Peri as they get pulled out of time and space by John Dee and his assistant Thomas. It doesn’t take long before he realizes there is something dark afoot in post Dark-age England. Someone has given John Dee futuristic technology and is manipulating his thirst for forbidden knowledge. Someone who is described as being in between a bachelor and a doctor... In case you hadn’t guessed, the Doctor’s old nemesis, “The Master” has come back to play and the fate of the world (as usual) is in the balance. Jake Arnott was successful in dealing with some pretty heady issues in a very interesting way. Imperialism, human nature and even the church are some of the topics discussed. There’s an especially interesting scene where the master and Peri and Thomas (John Dee’s assistant) argue over the imperialism of England and the settling of the Americas. The Doctor and John Dee also have some lively debates that I thoroughly enjoyed. The plot itself was inventive and engaging but could have used a couple more pages of fleshing out. I know that it is difficult to do in a short story format but I would have enjoyed a little more conflict and character interaction. Over all, I would re-read this book in the future. I would recommend it to any Doctor Who fan or sci fi guru and I am looking forward to reading more in this series.